Discussion in 'Audio Hardware' started by Carter DeVries, Oct 11, 2018. My question to the more experienced/knowledgeable among us is....does “seeing” a soundstage take practice / concentration similarly to seeing the hidden image in an autostereogram? For example when I listen to a mono recording it’s only after I focus for a few moments on where the instruments are “located” that the speakers go silent and the music appears to float in between them. I've never had to focus on this. If things are setup correctly and your equipment is capable, it should be subconscious. I have moments in some albums where I swear someone is coming down the hallway to the left of my room, lol. I'm not sure how much of a Soundstage mono material has though. I don't have any mono recordings in my library. Hey thanks for the reply. I used mono only as an example because in my system....with my current speaker placement, etc... it’s an easier stage to “see”. With my stereo recordings I have some sense of the soundstage, but I’m not really seeing instrument placement in anything like a well-defined manner. So, I’m wondering if it’s speaker placement, room acoustics, lack of experience seeing the stage or a combo of all the above. Probably a combo of all the above. I my system, audio from mono recordings always resides in the phantom center, and I can’t correlate the sound to either speaker. With stereo recordings, the phantom image usually comes alive with instruments and voices coming from specific points within the center, the location of the speakers themselves, and occasionally outside of the speakers. Some recordings allow the speakers to disappear, others not so much. I agree with @DyersEve726 that it is usually subconscious, but one of the great joys I have with listening to my stereo is enjoying the stereo imaging. In some cases, vocals will shift from dead center to off center, and I will ask myself “why? What is coming?” Sure enough, it will turn into a duet or an instrument will be introduced. But speaker placement, a change of speakers, dedicated listening, and tweaking the room itself has all had an effect on this for me. I find my experience to be similar, although my room is small enough that I've never been able to get away from a bit of the "head in a vice" effect. Unfortunately the room just doesn't support anything beyond a small sweet spot. But beyond that, imaging in all directions is, after hours and hours of work, measurements, tweaking positioning, sub phase/xover adjustments, beyond what I had ever expected from my rig. It could be better in a better room I am sure, but I never have to "focus" even for a minute to get the placement of instruments, even on what I would call "flat" studio recordings where "placement" is, as far as I understand, artificial since they aren't recording the whole band playing at one time. I can definitely imagine what OP is talking about, but if my experience tells me anything, it's that he may be exceptionally close to that "sweet spot" where it always just sort of snaps into focus. I don't find that it takes practice. It takes a well constructed and set-up system. Placement of speakers and listening position need to be correct, basically an equilateral triangle or at least with speaker distances being the same. Also the balance of the playback system should be good, so using a mono recordings, after the speakers are listening position have been sorted, you should hear mono coming from dead center. If you can do that, then the channel balance is probably good, and stereo should also be good. Beyond that comes room size, shape, furnishings, etc, ie room acoustics. Those can effect the playback system, but until you get the playback system set-up properly, it'll be a mess. I can bring a listener into my room that is not a hi-fi buff and the first thing they remark on apart from clarity and 'in the room' quality is the image that is portrayed--suspended in space, very stable, not confined to the loudspeakers and dimensional. It usually astounds people who haven't experienced a good hi-fi system. I don't think this requires training to hear based on witnessing that many times on the part of non-experienced listeners-- I've been around the bend so many times, I can't judge what my own listening experience compares to since I've spent too much time at this. There are going to be a number of factors influenced by your equipment but by far the greatest is likely to be the room-speaker interface. Image clarity is hugely impacted by time & phase alignment at the listening position & in my own search for the 'perfect' soundstage I was only able to achieve this with digital signal processing for the speakers themselves, combined with room acoustic treatment. All excellent and very helpful replies! I do think my set up is really, really close. Cheers for all the help so far! Everything came into focus for me when I did acoustic treatment. Are you or either speaker sitting unusually close to a wall? I had all kinds of issues because my room forces me to sit way too close to the back wall. I added 6" of rigid fiberglass insulation behind my head and BOOM, suddenly my imagining was spot on. It was like buying a new set of speakers...it made that much of a difference. I don’t know if this is relevant to your question, but I found it to be a fun exercise. For imaging tests one can also use a map of a symphony orchestra as the placement of instruments in an orchestra is almost always the same. Carter DeVries and Kristofa like this. 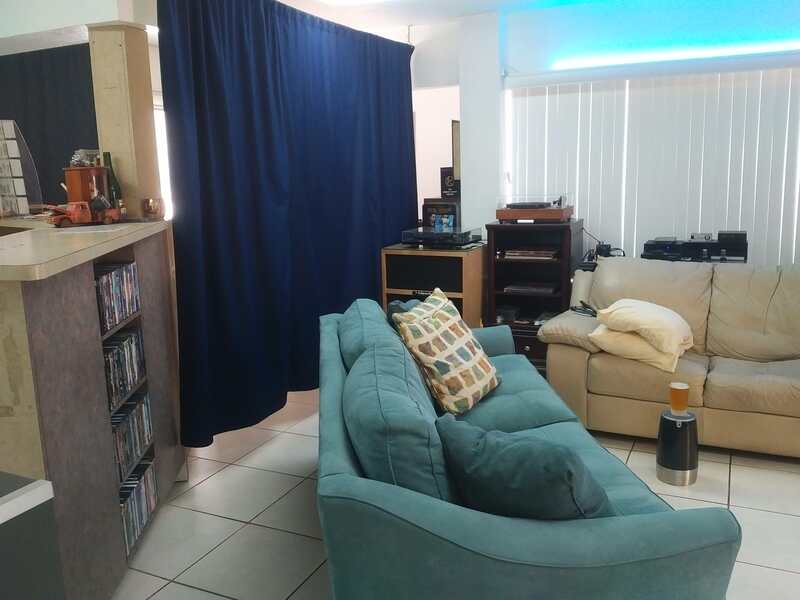 I’m in a rectangular room, but am set up with my system on a long wall out of necessity as my music room is also an infrequently used guest room with queen sized bed on one of the short walls. Speakers are about 6’ apart and 2.5’ from the front wall. Right speaker has 3’ between its side and the wall. Left speakers has 10’ of space off to its side. My listening position is 6’ away. There is a large, glass door about 4’ behind my head covered with wooden blinds. Great link. Very helpful! And, of course, I own that album so I’ll definitely do this excercise. Cheers! [Edit]. Okay, yeah.....awesome! So I just listened to Bird on a Wire with the linked chart in front of me and BINGO! All instruments are placed right where the chart says to look for them. This helps immensely as it really goes a good ways towards confirming that, at least for me, “seeing” the instruments in space requires a lightbulb moment....like seeing the image in an autostereogram! Sweet! I’m sure the soundstage in my environ can be improved, but this is a great step for me. Play the Kinks "Waterloo Sunset" in stereo, check and fix or improve your stereo playback with it! I wouldn't leave out recording and mastering. F.Y.I. Soundstage is one thing. Having the ability to "place" the different instruments within that soundstage is referred to as imaging. You can not have imaging in mono. For imaging, you need two speakers and a stereo source. There has to be good "imaging" information on the source, your speakers must be placed well within the room and you must be in the "Sweet Spot", which is why they refer to it as that. Your speaker placement is severely compromised. I'm not surprised you're having to focus to detect imaging cues. Ideally, you'd be able to give the speakers more space, (>3' from forward wall) but it reads like that's probably not an option. If they're not already, try treating the first reflection points with absorption panels. This includes the reflection points on the wall behind the speakers, as viewed from your listening position. You'll also want an absorption or diffusion panel at ear height between the speakers - even if you have a gear rack there, a panel behind it can make a significant improvement. 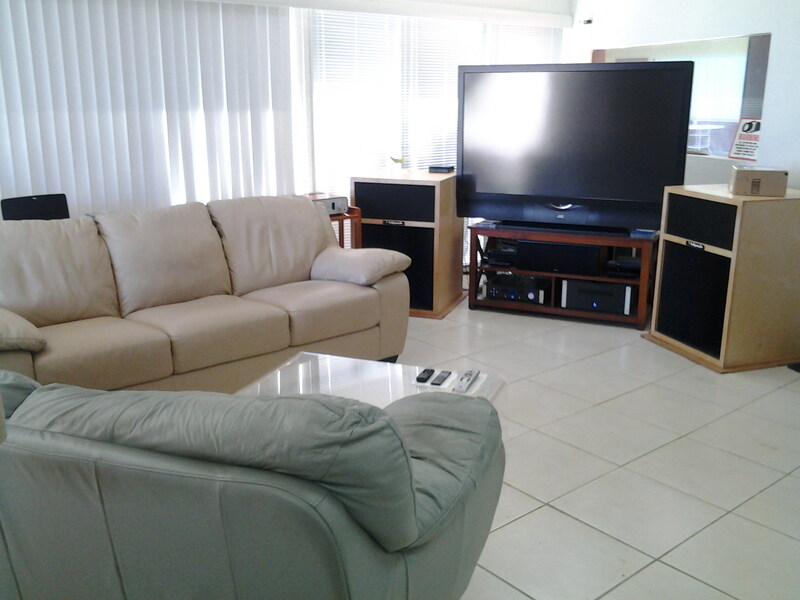 Also, it helps to have the speakers exactly equidistant from the forward wall (wall behind speakers). Even one inch difference will compromise the imaging. Try to get the speakers equidistant from the wall within 1/8" from each other. I mentioned mono recordings to point at that I do get a strong center grouping where the speakers actually appear to be silent with my current speaker placement, etc... when playing mono recordings. But, even that was something that I had to learn to see initially. Now it’s just...there. No concentration necessary. My question about whether seeing the stereo image, instrument placement, etc... is something you kind of learn with experience is based on the learning curve I experienced with mono. Some excellent info so far. So, doing something about speaker placement and acoustic treatment is next on the list. I appreciate the pointers! Helom and SandAndGlass like this. I can listen to mono fine. I can listen to stereo fine. Mono is interesting because you can listen to it from a single speaker or from two or more speakers. The fun thing to me is, your brain is not trying to identify different instruments in different places. It is just listening to music as a whole. It un-complicates the listening experience. Since I don't really have any mono music, I do what you are speaking of with stereo. Here is a couple of things that I do with my systems. First off, let me comment that soundstage and imaging are two different but related things. You are always going to have a some kind of soundstage even if you don't have imaging. If you have imaging, it takes place within a soundstage. You can have a soundstage without imaging, but you can't have imaging without a soundstage. Having said that, imaging is only one aspect of reproduced music. Being only one aspect is can be present or not, as in the case of mono. Which means if you can listen to and find mono music enjoyable, imaging is a aspect of music reproduction that you can do without. This is an important concept, that you have already achieved, because you do listen to and enjoy mono. 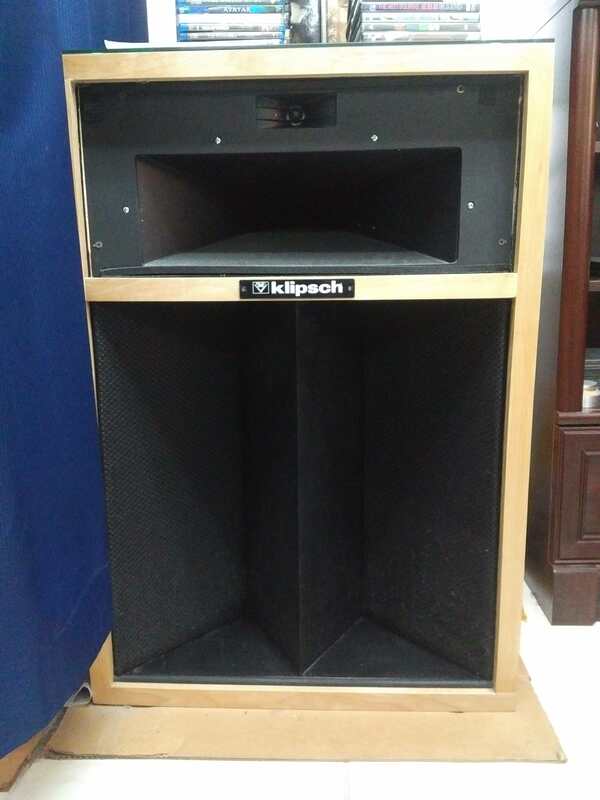 Here are a pair of vintage Klipsch speakers that I was using as my front mains for a period, back in 2014. After I moved other speakers in to replace these custom La Scala's as the front mains, I moved them more toward the rear of the room, so that they would be more out of the way. Today, one is serving as a stand for one of the turntables (the speaker is not connected). There is another one, sitting right next to it, on the other side of the blue curtain. This is still the first one, as I don't have a photo of the one next to it. But notice that it is a three way system and the driver's are grouped close together. For a time, I had the other La Scala hooked up together with the left rear speaker, which is in that same corner of the room. This was because, I needed to "push" some more sound out of that corner and into the room. Sometimes, I would sit in front of the other La Scala, a little over 3' way and rest my back against the desk that you can see in the main speaker. I would sit and listen to this speaker, while the other speakers filled the room with sound. Because the driver's are so close together, and I was just far enough away from them so that they blended in together. I had a "mono" speaker, right in front of my face. Even though it was technically only one channel, most times in stereo, most of the same information is coming out of both speakers. And, because there were at least two pairs of amplifier's playing, there was the sounds from both speakers present everywhere in the room. Listening to "in-your-face" mono is an interesting listening experience. It is what they refer to as near-field listening in the audio world, but most people do this with smaller speakers, like those designed for desktop listening. Near-field listening envelopes you in the sound field, producing a decidedly different experience than normal stereo listening, where you are siting much farther away. But you can experience near-field stereo listening. You just have to get closer to the speakers. Another type of "mono" listening or near mono listening in my next post. Based on my experience JBL Waveguide disappears better then anything I've had. I've had KEF LS50, Arteluthe Cadenza, Harbeth 30.2, and I've always felt that I got crosseyed when I really focused on where the instruments were playing. 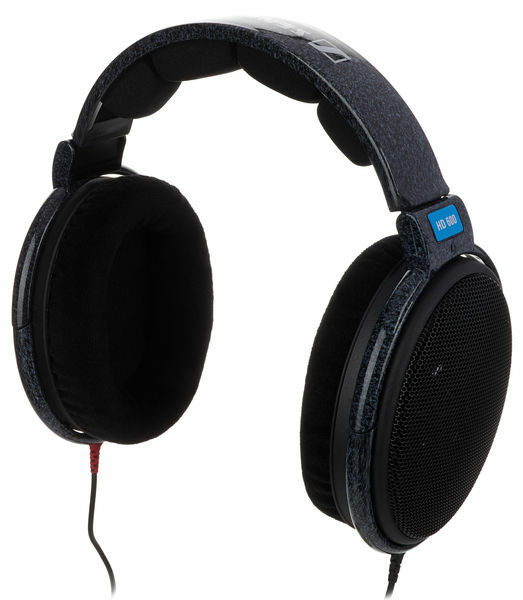 The JBL image effortlessly, they dissapear and the soundstage is at once massive but never confused. SandAndGlass and Carter DeVries like this. I have ALtec's, so I understand your point.